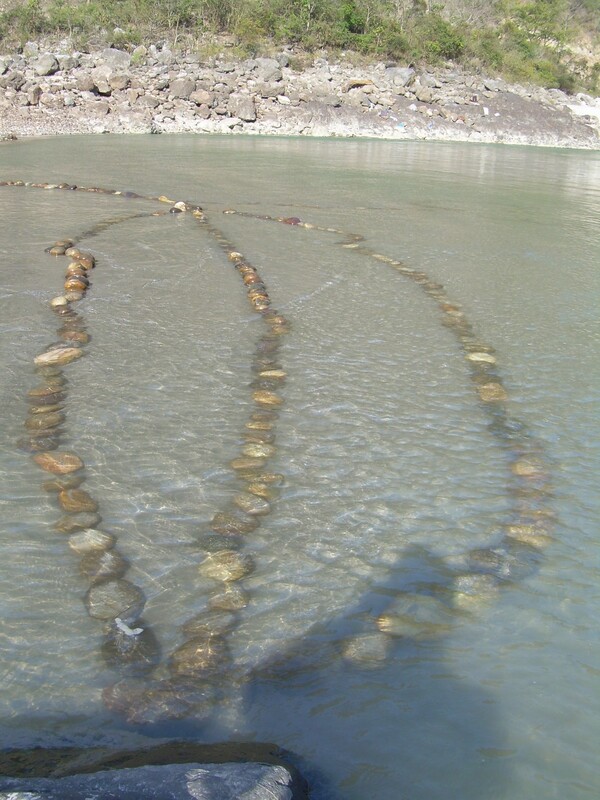 So many sacred rivers are polluted now; due to throwing of flowers and other ritualistic products in plastic bag too. 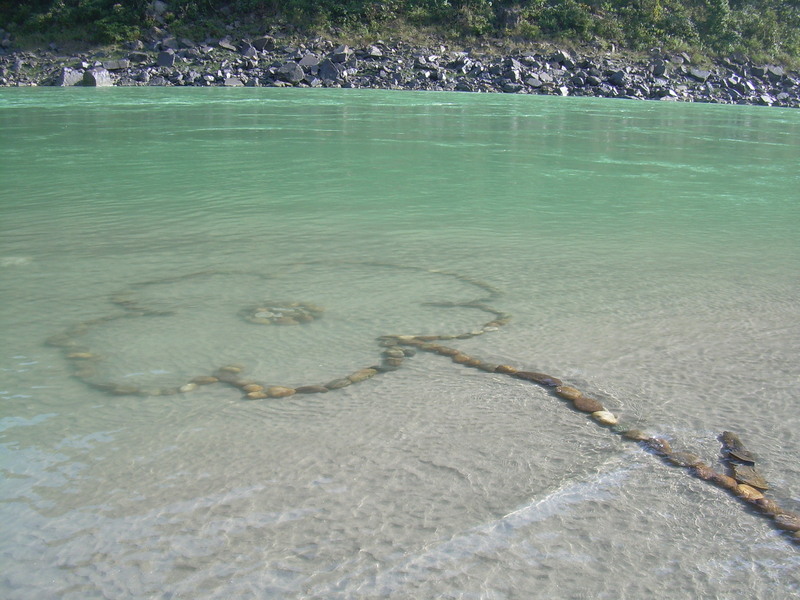 Its even hard to see a flower which grows in water due to pollution increases: This site specific work reminds me of the past when we used to see beautiful flowers blooming in rivers, ponds, lakes etc. 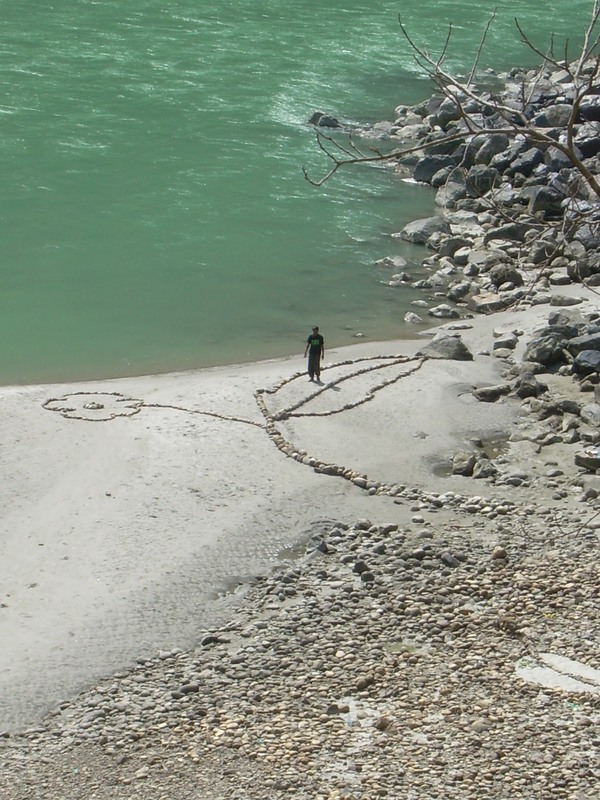 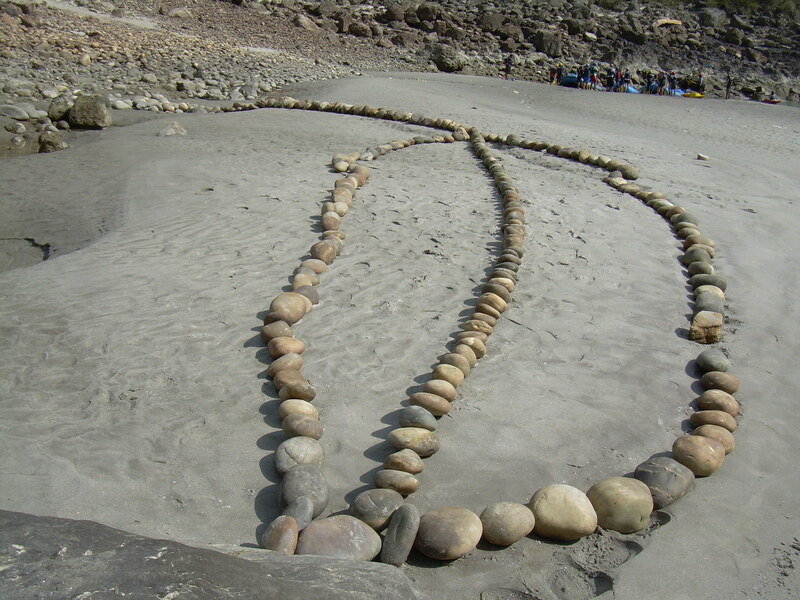 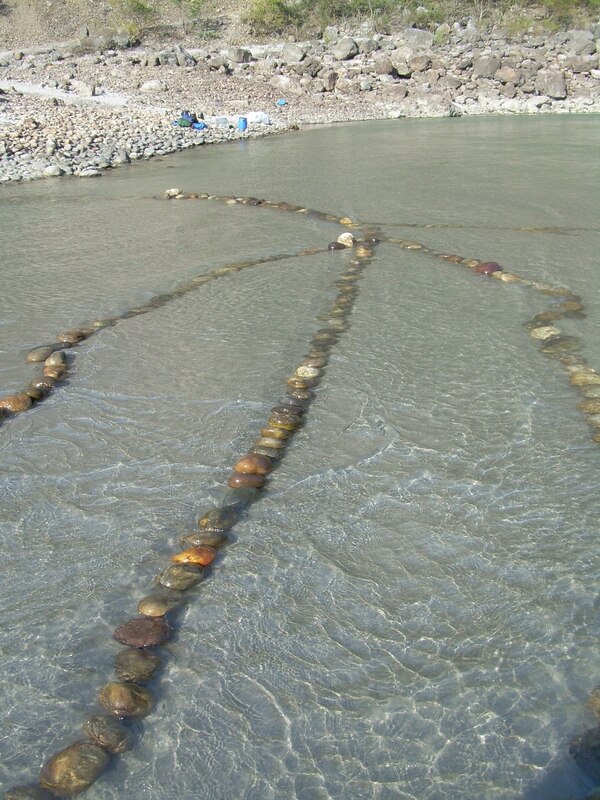 This work is done in the bank of the sacred river Ganga with collective stones. 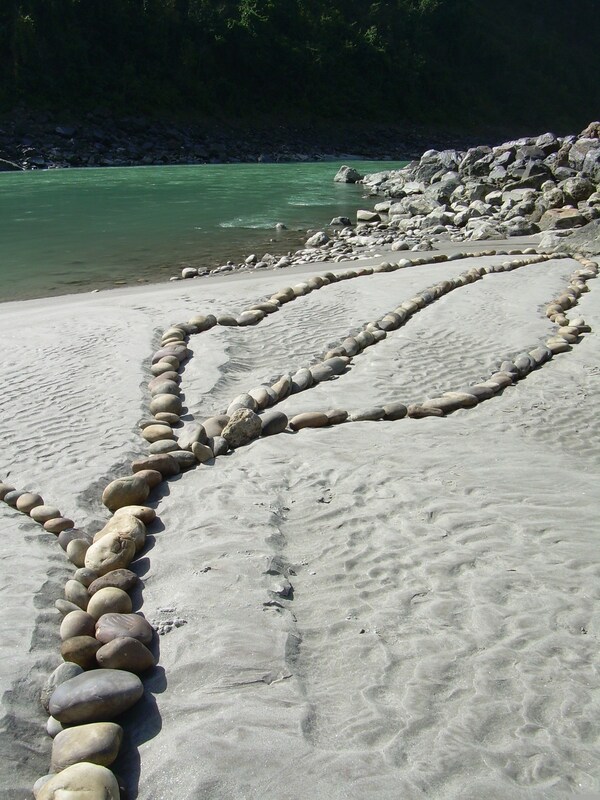 Posted in Environmental Art, Site specificTagged Alak Pathak, nature, site specificBookmark the permalink.